Red highlights are easy to apply to your hair but very hard to remove. With lighter natural shades, the red color locks into the light pigments of each strand. The underlying red tones in darker natural colors are enhanced by the red pigments in the dye. 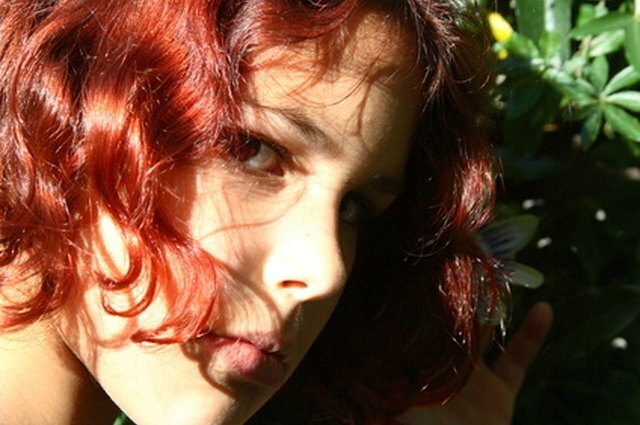 If you are a victim of a red hair disaster, removing red highlights from any hair color can be expensive and time consuming unless you act quickly. Shampoo and condition your hair several times. If the red highlights were applied to your hair within the last 72 hours, the color has not fully soaked into the hair strand and will fade with regular washing. After each wash, check the color to decide if it needs to be rewashed. 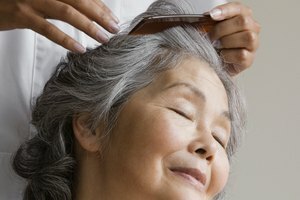 Visit a salon. Professional colorists can strip the red highlights from your hair with a color removal product or combine specific hair colors to cover the red highlights. Both of these options involve several steps to remove or cover the highlights and can be expensive. Purchase a color reversal kit. These kits, also known as color removal kits, are available over the counter and will vary in cost and application instructions. Closely follow the product instructions for applying it to your hair. Increase the red color's fading time. Hot oil treatments or heated vitamin E oils can fade the color quicker. Other things that speed up the fading time are hot water, white vinegar rinses and shampoos designed for specific hair colors. If your natural color is brown, using a shampoo specific for brunettes will deepen your natural color. Give the red highlights time. If none of the above suggestions are an option for you, make the most of your highlights. With time, all hair colors will fade and grow out. When trying out a new hair color, try a temporary color first before permanently dying your hair. 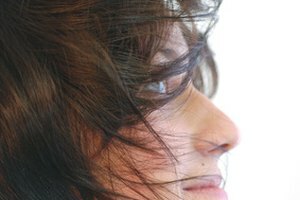 Color removal products can cause excessive damage to your hair. 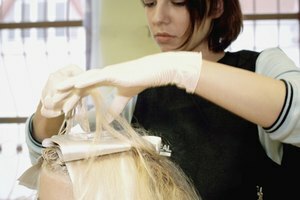 Always use gloves and old clothes whenever using chemicals such as hair dyes.